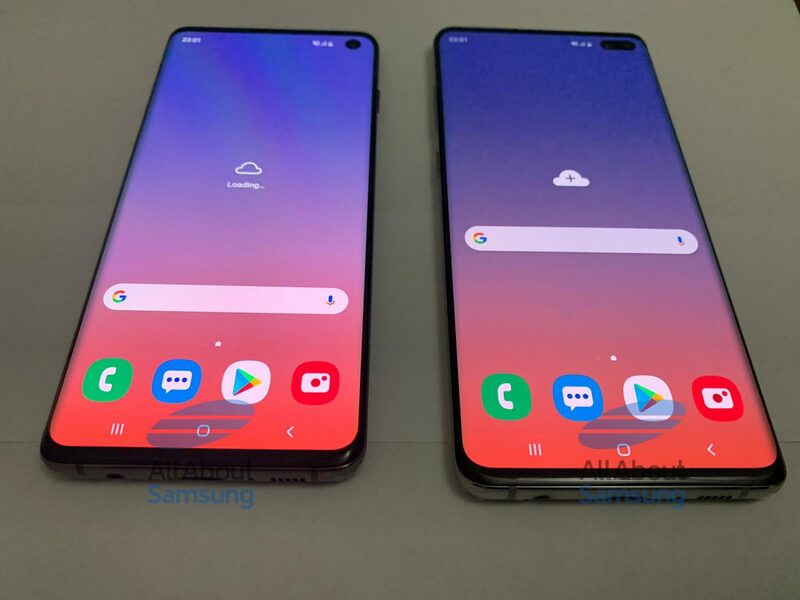 More real-life images of Samsung Galaxy S10 prototypes have now surfaced leaving nothing left to speculate. 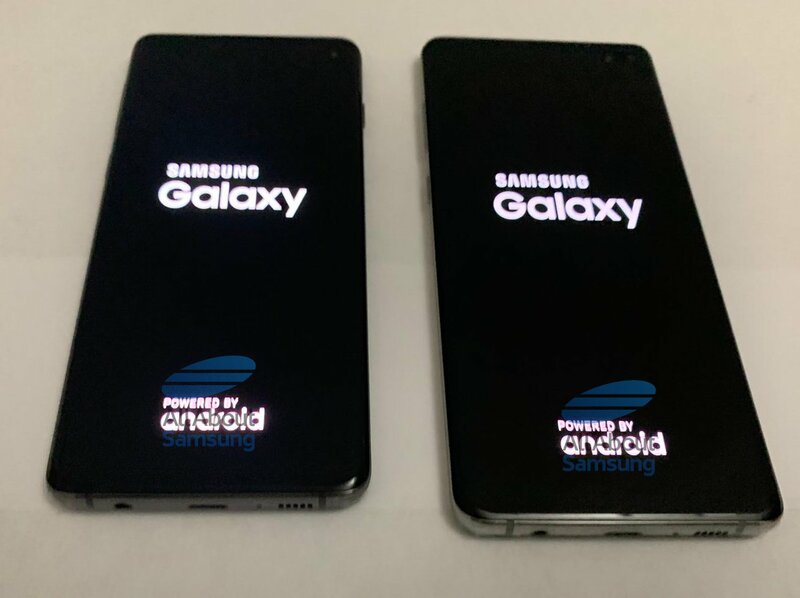 The final design or the final phone is expected to look same as these prototypes. These photos confirm that Samsung Galaxy S10 features only a front camera while the Galaxy S10 + has dual cameras. Both devices come with a USB Type-C port and luckily with a 3.5mm headphone jack port. On the rear, we can see the triple camera module aligned horizontally on both the devices along with a slight bump. Bezels around the three sides are negligible while minor bezel at the bottom of the display is visible. 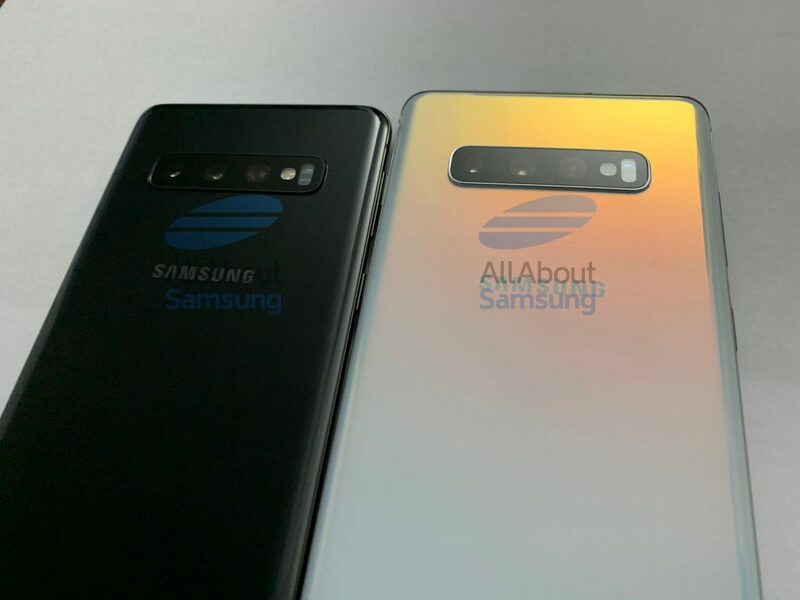 As we move closer to the official launch date of Samsung Galaxy S10, more leaks are surfacing in the wild ahead of the launch. 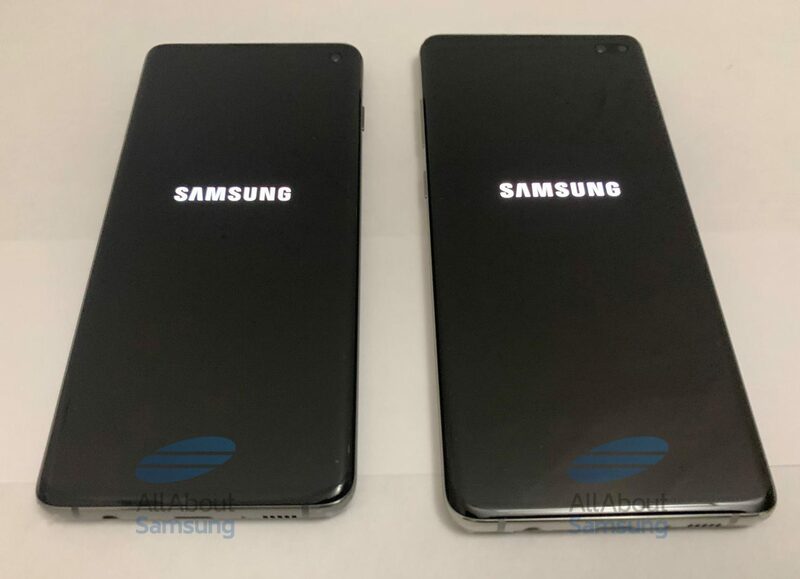 Today, some more Samsung Galaxy S10 real-life photos have leaked via Twitter (source). And this is what the device looks like. 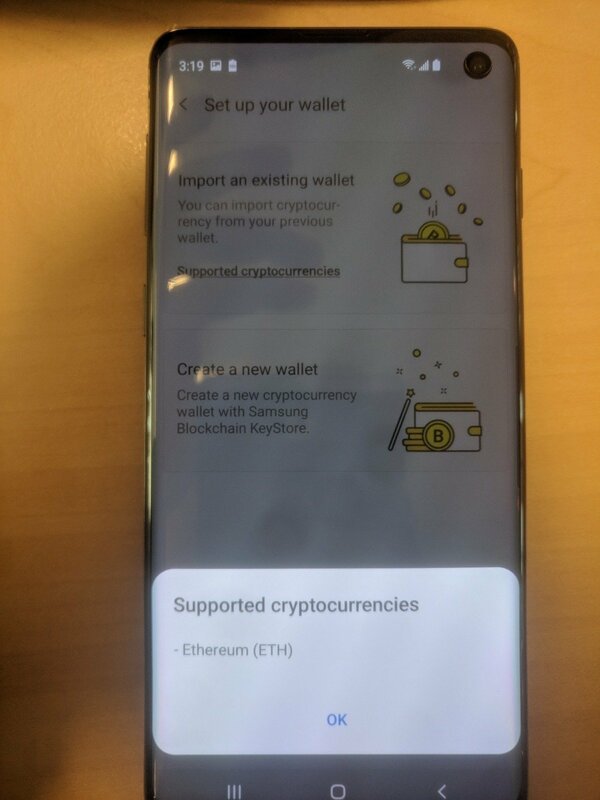 There is a difference between the phone in the new photos and the previous leak. It’s the in-display selfie camera, the new Samsung Galaxy S10 real-life photos reveal a single front camera which is circular in shape, as opposed to the dual lenses which were aligned vertically. We can see the phone has a curved edge-to-edge display, so it is not the Galaxy S10E. So it is clearly the Galaxy S10. The device has a slight forehead and a chin. 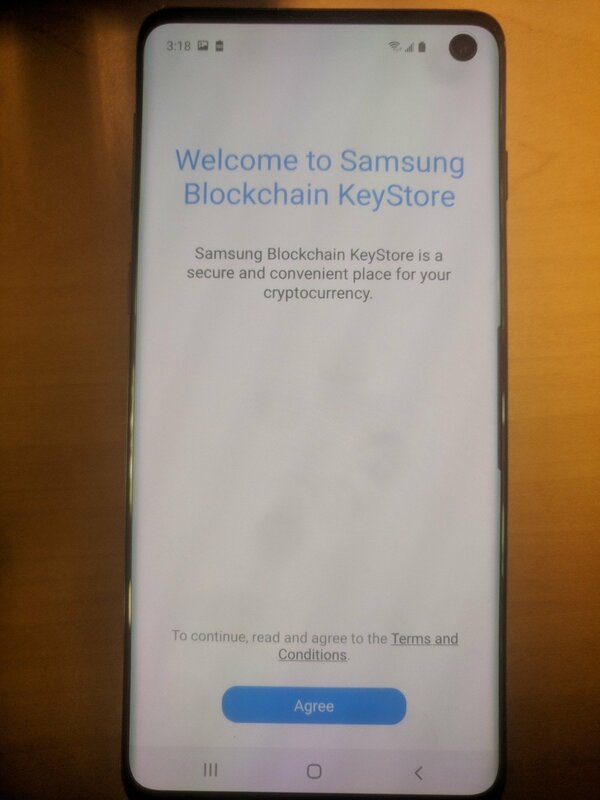 The new leaked Galaxy S10 real-life photos also reveal a Samsung Blockchain KeyStore, an app which is a wallet for storing your cryptocurrencies securely. A Galaxy S10 real life photo has been leaked online. The picture seems to be taken in South Korea and gives us a look at the upcoming flagship phone. Samsung seems to have gone with a horizontally aligned selfie camera, or is it cameras in the plural? Perhaps it is a single lens with some sensor next to it, or dual cameras. But there is something else that’s interesting in the leaked Galaxy S10 real life photo. It’s the huge status bar next to the camera, it really is gigantic. It sort of defeats the purpose of a notch-less and edge-to-edge screen. 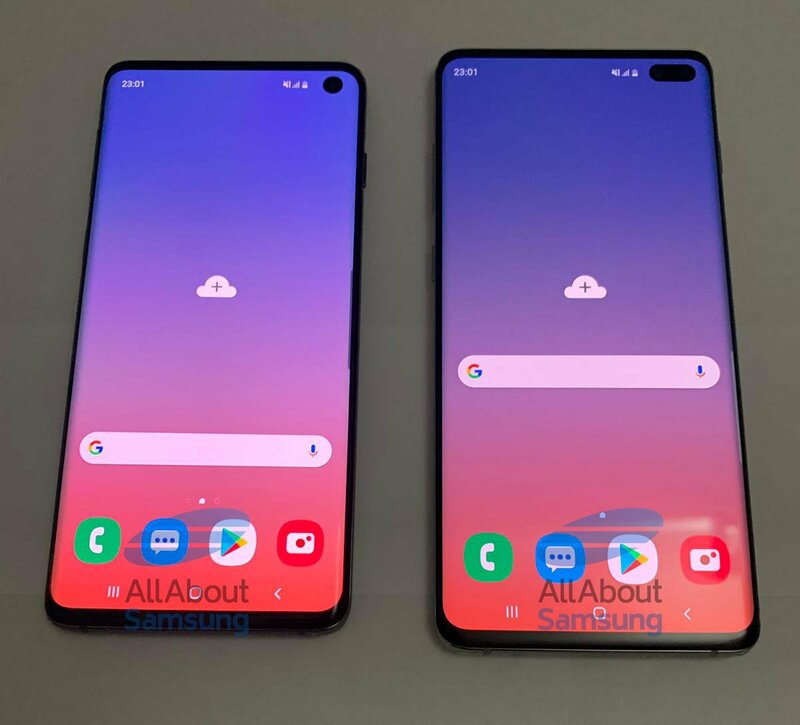 It is possible that the device in the picture has some sort of option enabled, like the hide notch option that some phones have, to give the S10 a more symmetrical appearance. But it doesn’t look symmetrical at all, and kind of reminds us of the Pixel 3 XL notch which ruined the look of the phone. 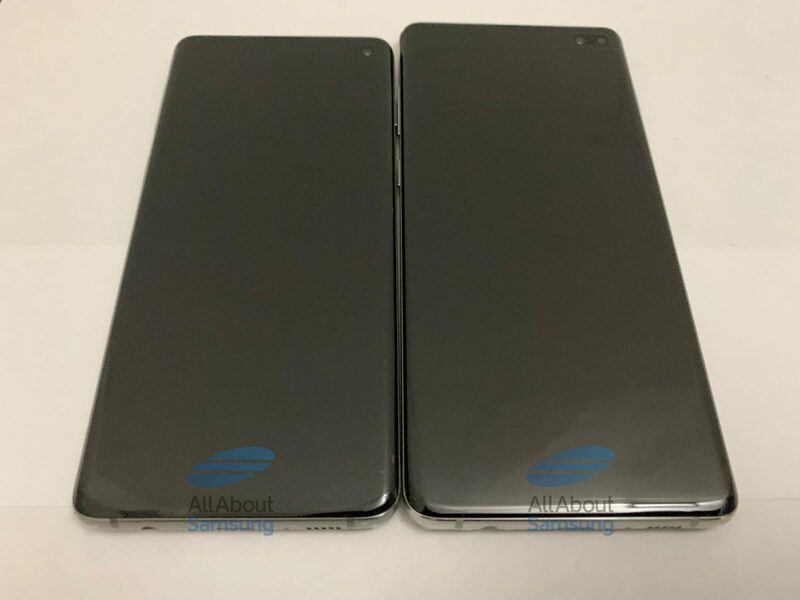 Speaking of looks, the phone’s frame in the leaked Galaxy S10 real life photo does look ugly, but that’s because of the case it is in, it’s probably one of those leak-proof cases that company employees and testers have to use before the device is launched. February 20th quickly approaches, as we are just about a month away from the Galaxy S10 launch date. Stay tuned for more leaks.